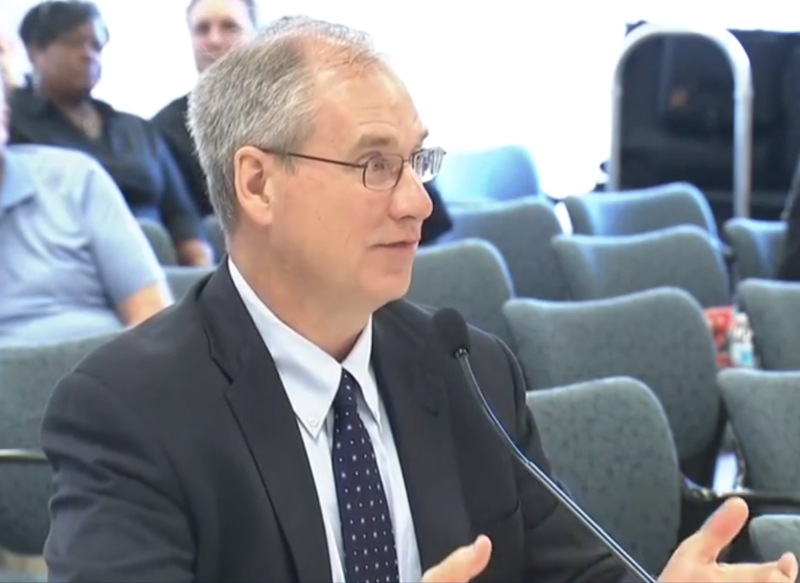 On Tuesday July 17, Stan Caldwell, Executive Director of the Traffic21 Institute and the Mobility21 UTC, testified at a hearing of the Pennsylvania Senate Transportation Committee on Act 89, a 2013 transportation bill that generates 2.3 billion per year for infrastructure improvements. This field hearing was held in Monroeville to review the work done in Southwestern PA and Allegheny County because of Act 89, and to consider future needs. Professor Caldwell spoke about the current benefits from Act 89 including how the funding allowed collaboration between researchers, industry, the City of Pittsburgh and the Port Authority of Allegheny County on new technologies and impacts on mobility. Stan highlighted the fact that due to Act 89 funding stabilizing budgets, state and local agencies have been able to begin planning for the opportunities and impacts of disruptive new technologies on transportation safety, mobility and workforce. The Traffic21 and UTC researchers were able to work with the City of Pittsburgh on deploying the world’s smartest traffic signals, help PennDOT plan for autonomous vehicles, and partner with the Port Authority of Allegheny County on connected vehicle research and data analytics to improve service. Furthermore, these technologies have created spinoff companies that are creating good paying jobs here in southwestern Pennsylvania. After testifying, Stan was asked by the committee about broadband infrastructure outside of the city and if that hinders the ability for autonomous vehicles to expand. Stan explained that past infrastructure investments were made for both transportation and economic development interests. These include port, canals, railroads, streets, highways and airports. The next critical transportation infrastructure investment will on need to focus on information and communication technology and that the investments and technology rollouts should be equitably distributed. Here is a link the video testimony, a link to the written testimony and below are the recommendation provided. Maintain a high quality of existing roadways and provide real-time information on road closures. Support the development of information and communications technology infrastructure to enable safety and mobility applications as well as economic development. Invest in research and test beds to develop next generation technology, evaluate emerging disruptive technology and recommend policy. Assist local government in technology investment and policy development. Encourage and promote the emerging transportation technology industry in Pennsylvania. Develop policy to mitigate the risks and unintended societal consequence.